Perfect for those suffering with dermatitis, this is a local treatment to relieve itchiness and stabilize the skin. Dr Hauschka know only too well how difficult it can be to deal with particularly dry skin, or skin suffering from atopic dermatitis. Frequent episodes of extremely itchy, dry skin need specialised care. Intensive Ice Plant Cream is for use all over the body, it is unperfumed and designed to provide extreme nourishment and reduce itchiness in areas such as the inside of your elbows or knees. Great on itchy skin, this non-greasy cream is easily absorbed, leaving a natural barrier against pollutants and other irritants. With regular use, skin will re-harmonise and be better equipped to reduce episodes of extreme irritation. Produced using wonderfully nourishing Avocado Oil, Mango and Sweet Almond, Jojoba and Shea Butter, this product is also ideal for infants and young children. Skin Type: Perfect for dry, very dry and itchy skin, and for skin that suffers from atopic dermatitis (eczema). Tip: Cool, damp compresses with the intensive cream can help to quickly alleviate itching. 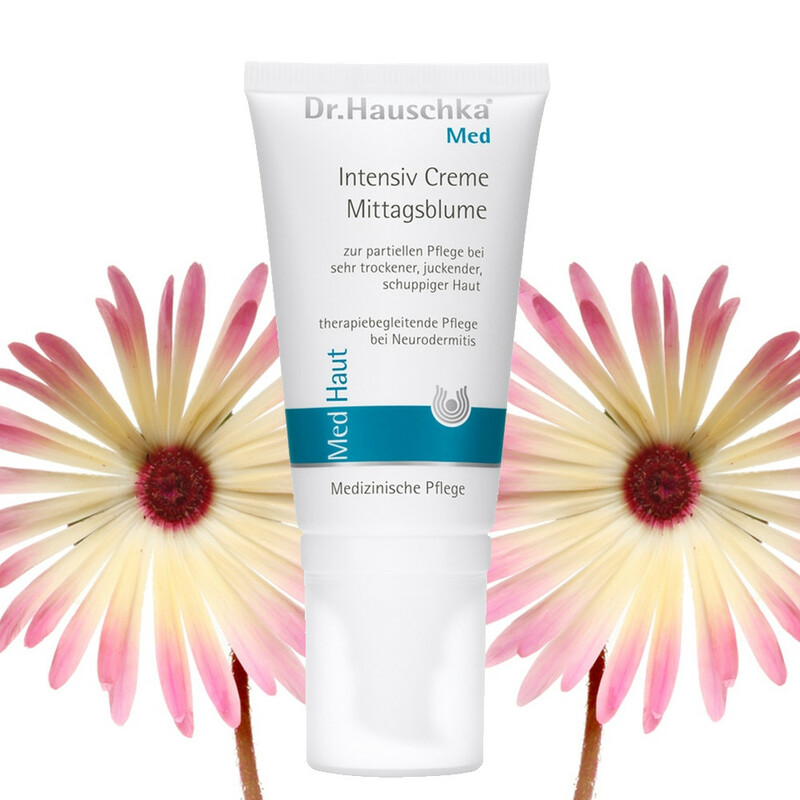 Matching Products: In addition, Dr Hauschka also produce Ice Plant Face Cream and Acute Care Potentilla for particularly problem skin. Ingredients: Water (Aqua), Mesembryanthemum Crystallinum Extract, Persea Gratissima (Avocado) Oil, Glycerin, Mangifera Indica (Mango) Seed Butter, Alcohol, Tricaprylin, Prunus Amygdalus Dulcis (Sweet Almond) Oil, Simmondsia Chinensis (Jojoba) Seed Oil, Sesamum Indicum (Sesame) Seed Oil, Lanolin, Cetearyl Alcohol, Bentonite, Butyrospermum Parkii (Shea Butter), Daucus Carota Sativa (Carrot) Root Extract, Rosmarinus Officinalis (Rosemary) Leaf Extract, Amyris Balsamifera Bark Oil, Lysolecithin, Glyceryl Oleate, Xanthan Gum.